Well, here's an unexpected, and very welcome, surprise. 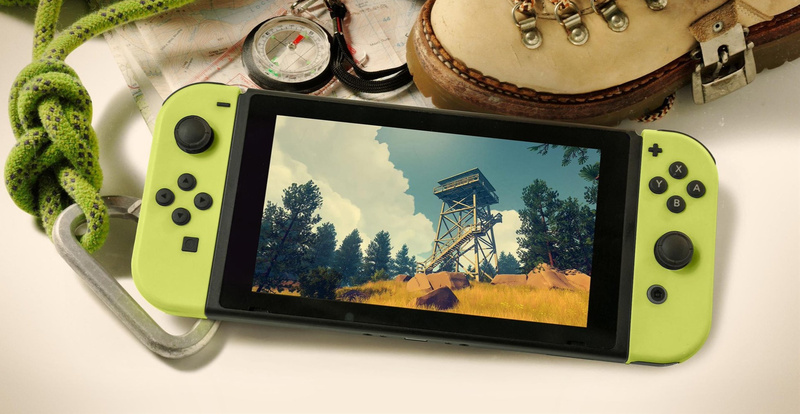 Firewatch, the 2016 indie hit that made a big splash on other consoles and PC, is officially coming to Nintendo Switch. And in 2018, no less. Turns out developer Campo Santo has been working on the port in secret, and it's finally ready to make its big reveal. The award-winning title mixes a traditional 'walking simulator' with a linear narrative set in the cel-shaded - but no less beautiful - Shoshone National Forest. Alone for the summer with nothing to do but spot fires, your supervisor Delilah is always just a call away on your radio - and as you're pulled out of the tower into the dense forest below, she's your only contact with the world you've left behind. Well, there you have it - another indie hit making the jump to Nintendo Switch? Have you played it before, if so, will a handheld version be enough to tempt you back? If you're new to the title, does its unusual setup intrigue you? Let us know, yeah? Looks pretty rad, on the radar for sure! Loved it on PS4 though there were some performance issues if memory serves. Not sure I will double dip but can certainly recommend. It's a truly great game. I despise most walking simulators. But this and Edith Finch (this moreso), were solid experiences. It's just fun to wander this setting too. I won't buy it a second time as I've already completed it a few times, but it's a wonderful game and anyone that hasn't played it should absolutely get it. Really enjoyed the story and it looks utterly stunning. I am near the end on PC and have always wanted to play this on Switch for some reason.I don't know if I''ll buy a story driven game again,but for anyone else,this is a fantastic,full of atmosphere, game. Looks very interesting. Never played the game before! Nice to see the Indie support! Oh heck yes! I have wanted this game for a while now - a Switch release is perfect! Awesome! I was just thinking that this game belonged on Switch, and here we are now. I've heard great things about this one, can't wait to try it out on Switch. It's a great game. Don't look at any videos beforehand and just go in unspoiled. Saw the title and my brain read "The Witness" for some reason. Got really excited. That's the one I'm waiting for! Having never played (or heard of this) before, I have to assume--based on the preview video above--that Delilah is actually a maniacal robot overlord whose sole purpose is tricking you into doing menial forest-based tasks while denying the existence of celebratory desserts. Right? This is one of my favourite games on PS4. Higly recommended, too bad I have already played it. This is not a game you can play a second time though. Playing Farcry5 on the PS4 ATM. It's very good. But why isn't Farcry3 coming to the Switch? Pretty sure it would run just fine seeing as it runs on ps360 with no problems. Anyone heard anything about it coming to the switch? No physical, no buy. We Will see. I have this on PS4. I don't think it's something that I would purchase again, but it was a really cool walking simulator. I didn't care for the ending, but the journey itself was really great. I highly recommend it if you haven't played it yet. It's a very good game but not enough replay value to buy again. Anyone with a Switch that hasn't played it should be in for a treat. @readyletsgo I'd rather have Far Cry 1+2. If they are the ones with predator mode in multiplayer. Done on PC years ago, pass. Looks intriguing but man do I hate unnecessary F-bombs. I watched my friend play this game on the Xbox. Definitely not my style, you don't really do anything other than walk which is pretty lame for the price you pay. Another game I wanted to play. @readyletsgo I'm having a blast with Far Cry 5, even though it's buggy as hell. I was thinking the same thing about FC3; surely they could port it over with a few tweaks. Doesn't seem to be listed, but maybe a future project for Ubisoft. Personally I would prefer if Ubisoft continue supporting the Switch with new & exciting games like M&R & maybe even a timed exclusive / 3rd entry in the new Rayman game series. I paid $15 on the PC and it's a pretty fun game. Totally worth playing it once, make sure to play it totally blind. This game is simply awesome! Got it on ps4 last year and I fall in love with it. The narration is excellent. A very big recommendation. Double dip for sure. The list of games I want on other consoles keeps shrinking, nice! Nice. Firewatch is a really cozy experience. @Aven could always port Farcry 1, 2 and 3 to the switch. I'd buy them again to play on the go. And yet another game jumps from my PC indie wish list to the Switchlist! No complaints in this corner. Got it on PC and it really is a great game. It's was the game that got me into walking simulators. I wonder if The Vanishing of Ethan Carter will make the jump. Another excellent walking simulator. 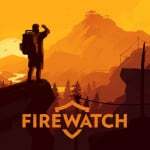 loved Firewatch. I don't have any plans to double dip however. @datamonkey yup, I kept hoping for a real ending via DLC. Great game but I got stuck looking for a code to open a chest that I believe is holding up my progress! Otherwise cool game! I will gladly shell out money and purchase this again, especially to support the developer for the way he went after a certain white supremacist YouTuber. If only more developers would follow suit. What type of game is it exactly? Like a puzzle adventure or something? I am so glad this game is coming to switch finally. I've held out on getting this on PS4..
My brother seemed to like it but I wouldn't pay too much for it. It is a good addition to the Nintendo Switch library though. I was just thinking yesterday how I would totally get this if it came to the Switch. @Baker1000 from what I know about it, it’s more of story driven interactive experience. Sort of like Life Is Strange. I vaguely remember hearing good things about this game, but only vaguely. I will keep an ear open though, because I enjoy good narrative driven games. @ottospooky Nintendo is the most popular company to hate. No question there. Even "fans" often bash on it. It annoys me too. @readyletsgo Everybody's Gone to the Toilet you mean. The game where you walk at half a mile per hour even after you find the run button. Lol, yup, the very same game. I loved it. Reminded me of my holidays as a kid in the 80s. And that unnerving music, like Boards of Canada playing in the background. It was a beautiful break from platformers and shooters tbh. @Cosmos14 so kind of like a point and click adventure? @readyletsgo I agree it was a very beautiful game but I must be too impatient because I got fed up with the slow walking speed and never booted it up again after playing it for about two hours the first time. @TheLobster I get ya. It can be incredibly slow, it's more like watching a documentary on something terrible that happened, but you're trying to find out what happened, but again at a slow pace. It's not for everyone.